What is the government’s carbon tax modelling based upon? Global trading of emissions by 2016 (see here). What is the chance of that? Zero. U.N. climate chief Christiana Figueres lauded a climate change meeting in Panama as “good progress” this weekend, even as environmental activists warned that the world’s only structure for curbing greenhouse gas emissions appears about to crumble. The next time diplomats meet, it will be in Durban, South Africa, in December for the year’s final climate change summit. There, countries must finally decide what they have put off for several years: the future of the Kyoto Protocol. The fragility of the global negotiations on climate change only make Labor’s pointless carbon tax seem all the more ridiculous. I have the image of the duo standing in front of the Australian public with right clenched fist and protruding upandicular middle finger . You really think they know that many words – between them, that is? There has been a plan to replace cash with energy credits as long ago as 1961. It’s part of UK and Australian law as well as much of the EU, so can’t yet see it crumbling from here, quite the opposite. Information missing here is that Karen ‘Christiana Figueres’ Olsen, Executive Secretary to the UNFCCC is also an Al Gore ‘The Climate Project’ connector. Just love the connection ! 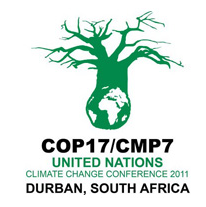 If Australia’s carbon tax bills (19 bills) that are being introduced at the moment, become law before December 2011, the Australian government representatives will take that to Durban COP17 and will ratify the Green Climate Fund and anything else they can get their signatures on. They did do business in Cancun COP16, only with less fanfare. The only countries left in the Kyoto agreement make up 20 percent of global CO2 emissions. Without the USA, Russia, Japan, Canada and serious commitments from China and India it’s all rather pointless. The climate change train left the station years ago … someone needs to tell Julia and Bob because they’re looking rather stupid, standing alone on the platform with undeveloped countries standing alongside them like beggars with their hands out, waiting for the cash! This government Labor/Greens need to take a reality check. The USA, Russia, Japan, Canada, China, Japan are all laughing at the possibility of Australia being at the forefront of any attempt to tax its citizens on something which will do NOTHING for the planet. Australia has such a small percentage of emissions per person than any of the above mentioned countries. For example China’s emissions per person have increased 10% in 2010 and stand at 6.8 tons pp. This is set to surpass the US by 2017. At the moment the US emissions stand at 16.9 tons pp! France – 5.9 tons pp and UK 8.1 tons pp. Source – telegraph.co.uk/earth. Enough money has been wasted on this carbon tax nonsense in Australia and more is to be wasted – a conference in Nasau hosted by Australia on the Reefs (we are told by Marine experts that the Barrier Reef is not dying in fact the only thing which would harm them would be for the waters to cool) and then another conference in Durban before Christmas. Nothing seems to have been achieved by the conference in Copenhagan and the one in Cancun was an opportunity for Combet to sign over 10% of the money raised to the UN. Most of that money will not go to the poor but to members’ salaries and fill the pockets of the rich. It is all a pointless and costly exercise which has, and will keep on doing so, waste money for achieving NOTHING. The waste goes on and on – and if you look at what this mean, you will see that the whole future of the world is being paralysed by this nonsense. It is as though some group wants to stifle innovation and our growth as a species – to curtail the possibilities for new industries and a greater capacity to live life to the fullest. It’s time we stopped looking on these alarmists just as idiots – the average alarmist soothsayer may be just that – but the people guiding this are the real enemies of Earth, for they are ones trying to stop us in our tracks, determined to stop any real evolution of our science… to curtail our future.